We are the manufacture of high standard Shoes display racks as per requirements of clients which are tailored with international standards and quality. Shoes racks can be specifically designed for Mens shoes and ladies shoes for the footwear outlet. Shoe stands pole are made of stainless steel for better look and longlife or you can opt shelves made of glass as per your choice and budget. Should be ideally mounted on wall. Store shoes in an organised and a neat manner. Made out of CRC Prime quality 0.80mm thick sheet powder coated. Size 30"(L) x 10"(D) x 49"
Shoe racks to store atleast 18 pairs . 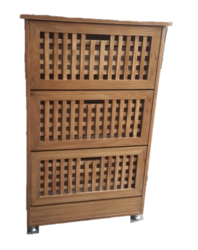 It is made out of Teak wood and ply duly polished. 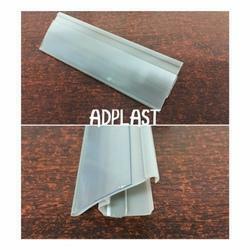 We are the manufacturer of Display Rack Data Strip. Looking for Shoe Display Rack ?